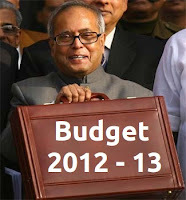 Auto Industry: What to expect in budget 2012? The two word answer to the above question is undoubtedly "higher tax". It is alsmost certain that the finance minister will levy higher taxes on the auto sector. However, it’s the quantum that will determine what happens to the stocks. Excise duty hike of 2% on passanger cars is almost discounted in the stocks. However some analysts believe that it can be reverted back to pre crisis levels of 12%. Considering the huge losses that oil marketing companies are having on diesel fuel sales, it is very likely that we could see a flat levy on diesel cars to compensate for the benefits of low running cost. This would place both petrol and diesel variants on par with each other from a cost point of view. This could dampen the sales of diesel cars and utility vehicles going forward. Apart from four wheelers, the two wheeler maker could also see a two per cent increase in excise duty. However this move would be positive for Hero Motor Corp and Bajaj Auto as they derive 33 per cent and 20 per cent, respectively, of their total output from tax-free zones. This would result in increased realisations from production from tax-free zones. So an increase in levies would mean higher realisations for these companies which would be beneficial for the company's bottomline.